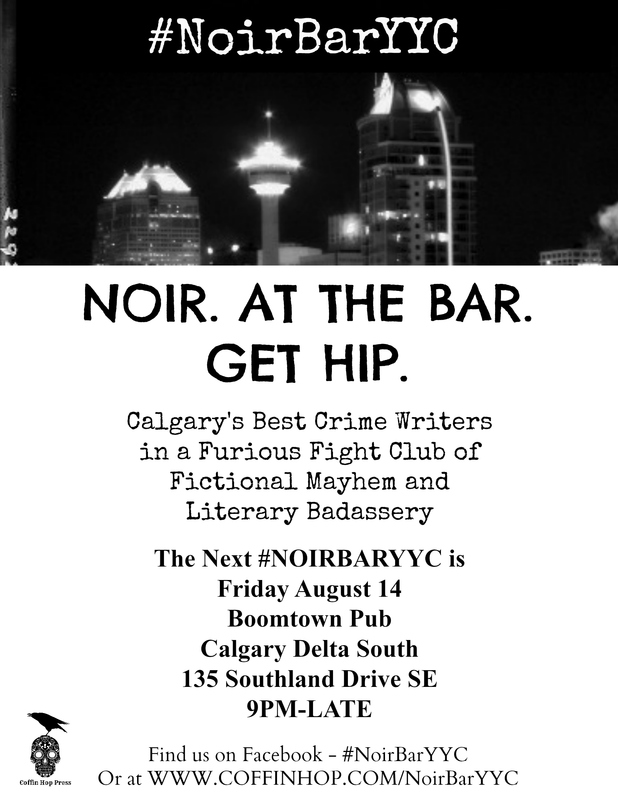 Coffin Hop Press is proud to present Calgary’s first and only Crime Fiction Fandango, the annual #NoirBarYYC event! Come on down and check out some of Calgary’s best crime fiction writers reading, drinking and raising hell. Dark and noirish fiction, prizes, shenanigans… booze, bullets and broads. Criminal mischief and literary badassery from Calgary’s best Crime Fiction Writers. Western Canada’s first and best Noir at the Bar event returns! Come on down for the bullets, broads and booze in the easiest speakin’ speakeasy in town. Listen to the best crime writers from Canada and around the world, visiting for the annual WHEN WORDS COLLIDE conference, as they sling stories that will strip the shine off your shoes and scare the hair right off of your head. Door prizes abounds, and the esteemed Golden Skull will be awarded to the best reader of the evening.